Aromatherapy can produce far-reaching benefits that are both natural and safe to soothe and balance the body and mind. Therapeutic grade essential oils aren't scented oils, they are actual plant matter that is expressed from plants through a combination of steam distillation and cold-press extraction. Different plants produce different benefits that can be enjoyed through aromatic and topical use. 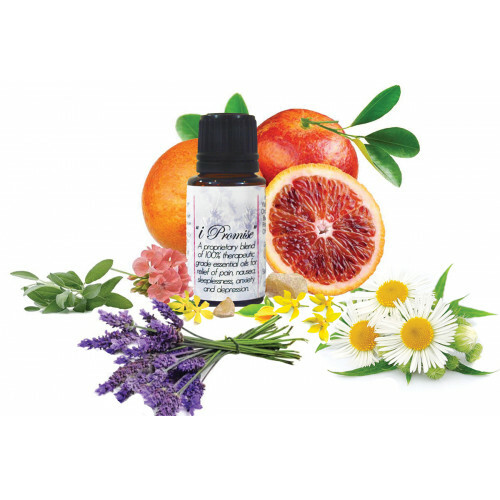 Pinkee Promise selected the seven essential oils that are most beneficial to soothe the side-effects of cancer treatments, such as pain, nausea, sleeplessness, anxiety and depression, and combined them in one proprietary blend of 100% therapeutic grade essential oils. Ylang Ylang Organic: Provides relief from anxiety, sadness and stress. Can aid in lowering blood pressure and strengthening the nervous system. Provides emotional and spiritual balance. Oman Frankincense: Benefits include immune system support, pain relief, and tranquility. Blood Orange: Helps provide positive outlook. South African Geranium Organic: Considered antiseptic, anti-inflammatory, and detoxifying. Benefits include relaxing the body and relieving tension, anxiety, restlessness, irritability, and fear. Royal Hawaiian Sandalwood: Boost immunity, induces relaxation, calmness, concentration, inner vision, and positive thoughts. Roman Chamomile: Fights nausea, and helps eliminate feelings of sadness, depression, disappointment, and sluggishness and helps provide a sense of hope and encouragement. Aromatic: Inhale directly or use a diffuser. 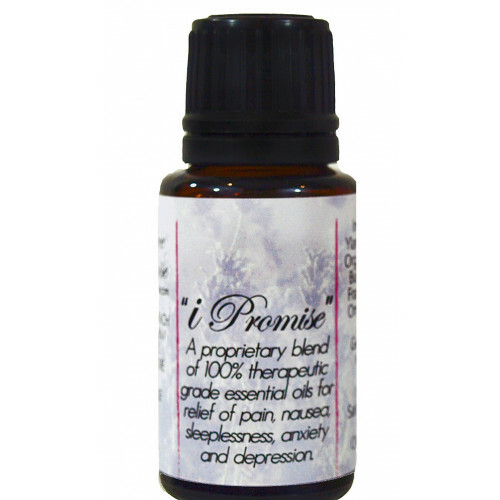 6-8 drops of I Promise per 6 ounces of water. 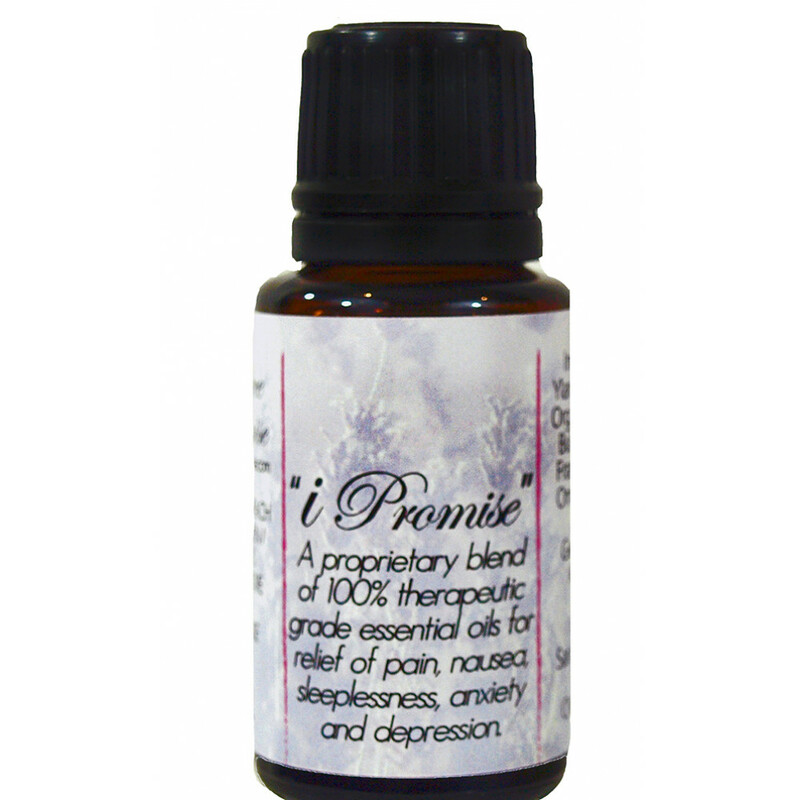 Topical: Dilute with a carrier oil about one drop of I Promise to 8 drops of carrier oil. * These statements have not been evaluated by the Food and Drug Administration. Essential oils are not intended to diagnose, treat, cure, or prevent any disease and are not to be used as a substitute for consulting a licensed medical practitioner regarding any medical advice or treatment. Essential oils by nature are quite potent and should be diluted before use. Please keep away from eyes and sensitive skin areas, and do not allow children to play with them.